Check out Tobi's Give A Toast Martini Glass Set A toast dedicated to you, babe. Sunnylife's Give A Toast Gold Martini Glass Set comes with two shiny martini glasses that are made for celebrating your life's best moments. 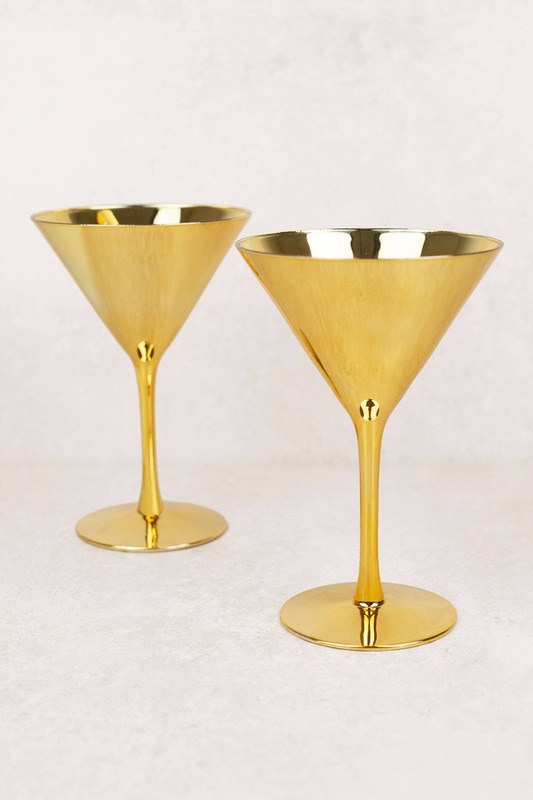 Find your BFF, then bottom's up with these cute gold martini glasses. A toast dedicated to you, babe. Sunnylife's Give A Toast Gold Martini Glass Set comes with two shiny martini glasses that are made for celebrating your life's best moments. 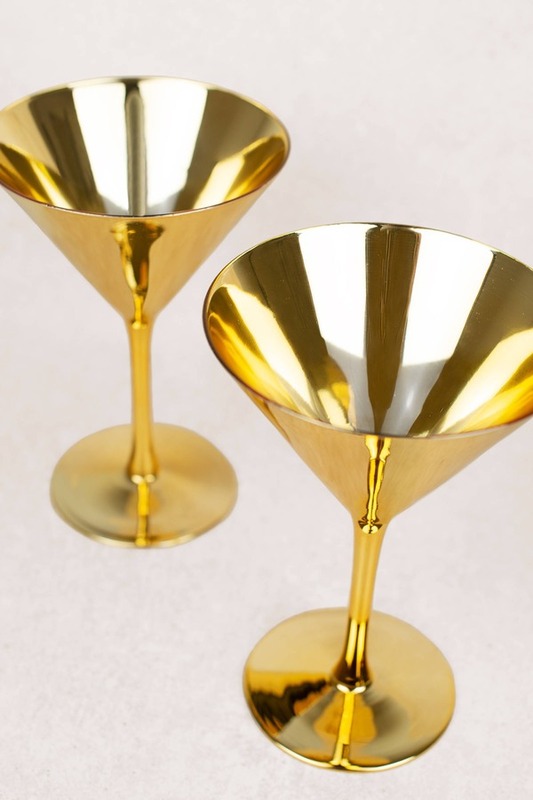 Find your BFF, then bottom's up with these cute gold martini glasses.